Albertans can expect easier access to a tuberculosis drug that promises to be a more successful option than conventional treatment, according to the province’s health ministry. The drug rifapentine, also known by the brand name Priftin, is used to treat patients with latent tuberculosis. This is particularly among populations at high risk of developing an active disease, which includes some First Nations communities, reported the Edmonton Journal. Patients on the drug would have to take one dose a week for 12 weeks, as opposed to the standard treatment that calls for a daily dose over nine months. “Because treatment with rifapentine is shorter than other treatments, more patients are willing to try the treatment and finish treatment as prescribed,” Alberta Health said in a statement emailed to the Journal. Though rifapentine has been licensed in the US, the drug has not been approved in Canada. Alberta has been able to acquire the drug for individual patients on a case-by-case basis through Health Canada’s Special Access Program, but the process was prohibitive in staying apace with new diagnoses of latent TB. 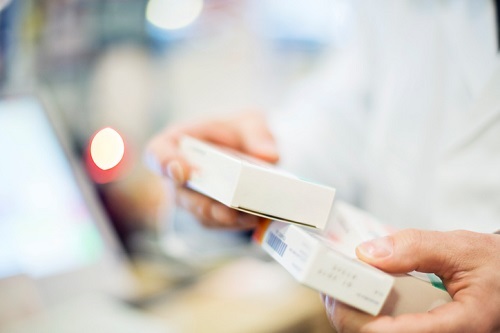 The province has applied and gotten approval to get the medicine imported under the Access to Drugs in Exceptional Circumstances program, which is another Health Canada program that can be used in cases of “urgent public health need” for a drug. But the provincial health ministry said there’s no particular crisis in Alberta, and only used the federal program as a “legal mechanism” for efficient access to the medication. Albertans received 720 doses of rifapentine in June, which Alberta Health Services expects to be able to sustain that rate in the months ahead. The medication is paid for by the province; the health ministry could not reveal the cost, but said the shorter treatment and fewer doses makes it significantly more cost-effective than the standard option. While TB numbers in Canada have remained relatively low and stable, “foreign-born individuals and Indigenous Albertans continue to be disproportionately represented among reported TB cases in Alberta,” the provincial ministry said in its statement. Other jurisdictions that have obtained rifapentine under the exceptional circumstances program include Ontario, Manitoba, BC, and the Public Health Agency of Canada.